They voted for Donald Trump after he promised to protect American agriculture and reduce regulations. 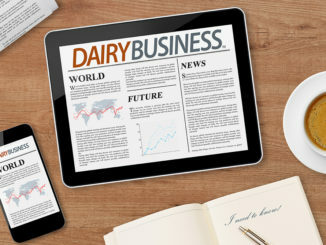 But many U.S. dairy farmers are now stinging from the trade war he’s launched, particularly those in California’s Central Valley, who have built their livelihoods on exports to Mexico, China and other markets. President Trump’s tariffs on Canada, Mexico and China have prompted retaliatory actions, making it harder for U.S. farmers to export their products, depressing prices and adding to a glut of products such as cheese. The United States has nearly 1.4 billion pounds of cheese in cold storage, the highest amount since record-keeping began in 1917. Even before the tariffs, some dairies were hurting, with their numbers in California dropping from 1,563 to 1,392 between 2012 and 2016, according to the California Department of Food and Agriculture. California’s milk farmers are not going down without a fight. Last month, four Central Valley dairy organizations — DairyAmerica Inc. of Fresno, Hilmar Cheese of Hilmar, California Dairies of Visalia and Western United Dairymen — joined scores of others nationwide in urging Trump to suspend tariffs on Mexican aluminum and steel, which prompted Mexico to retaliate against U.S. exports, including dairy products. “Our share of the Mexican market is in grave jeopardy,” the dairy groups wrote to the president. Trump, however, has shown no sign of backing off. On Friday, the United States began imposing new duties on $34 billion worth of Chinese goods, prompting Beijing to announce it would reciprocate with tariffs on a similar amount of U.S. goods, including various milk and cheese products. Although Wisconsin is known as the cheese state, California actually is the nation’s No. 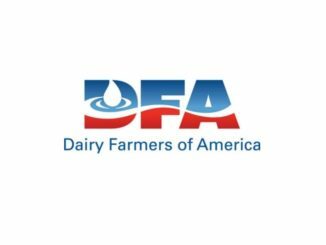 1 dairy producer, turning out 39 billion pounds of milk in 2017. California accounts for one-third of the U.S. dairy products exported abroad, much of it being cheese and milk powder, which are highly sought by Mexico and China. Tulare and Kings counties, south of Fresno, are the heart of California’s milk production, and a majority of voters in both counties supported Trump for president in 2016, compared to only 33 percent statewide. Joey Airoso, whose family owns a 3,000-head dairy farm in Tulare Country, is one of those Trump voters. He said the trade war with Mexico and China will likely hurt his bottom line, but he said the industry was already hobbled because of environmental regulations and state milk pricing policies that date back to the 1930s. “We live in a state where they make it extremely difficult to do business,” said Airoso, whose family has been farming in Tulare County since 1912. When Trump took office, Airoso said he suspected the president’s tough trade policies might prompt a backlash that would hurt his business. Like many dairy farmers in Wisconsin, he thinks Mexico, China and other countries have purposely targeted products for tariffs that are exported from states where Trump has strong support. Airoso sells his dairy’s milk to Minnesota-based Land O’ Lakes, one of several big processors who have spoken out against Trump’s trade war. Like AcMoody, Airoso suspects the feud will force more dairies out of business and will flatten prices for remaining farms, possibly beyond what it already has. When Mexico announced plans to enact retaliatory tariffs on May 31, there was a 12 percent drop in July milk futures prices. On the Chicago Mercantile Exchange, prices for a 500-pound barrel of cheddar cheese dropped sharply in June, and are on track this year to reach their lowest average level since 2010.